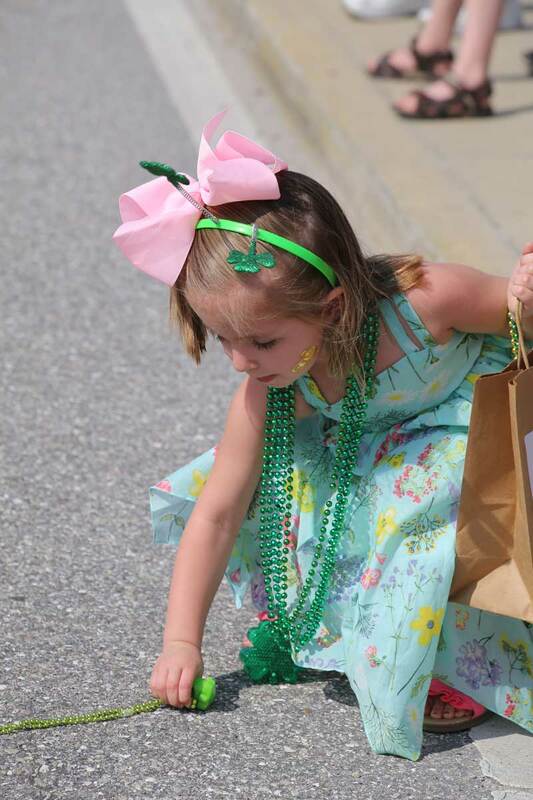 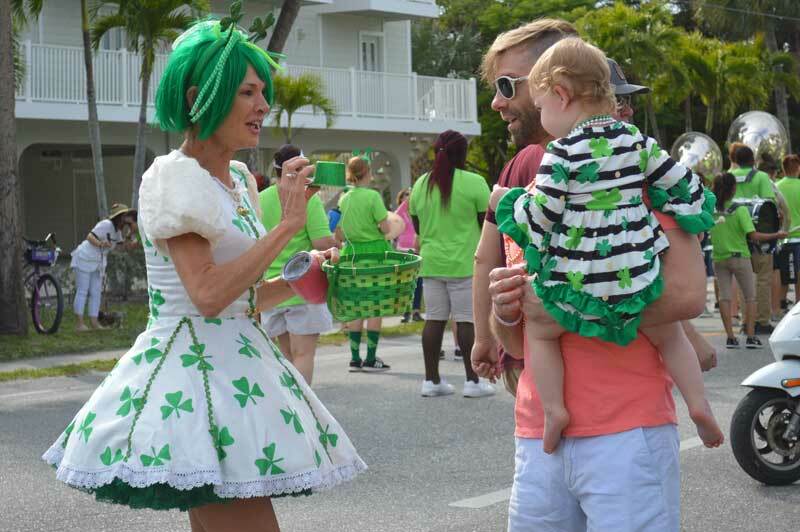 A green-haired leprechaun shares a gift with a wee girl March 20 during the 20th annual Beach Bistro St. Patrick’s Day Parade. 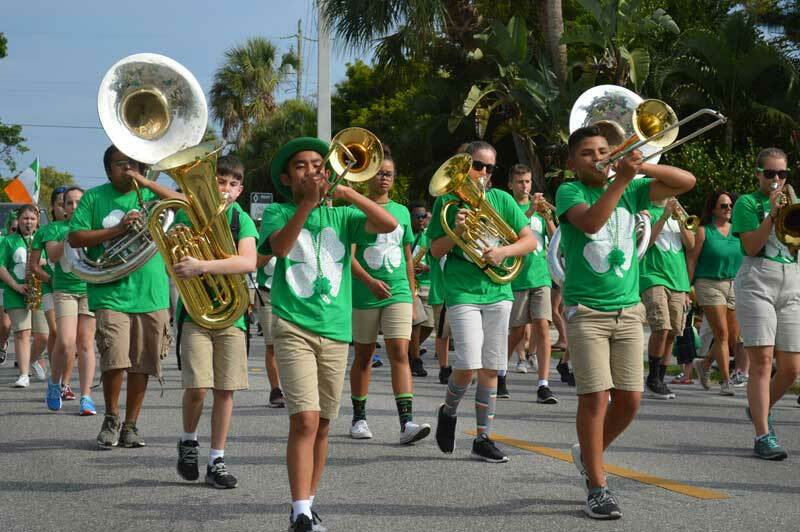 Members of the Rowlett Middle Academy marching band of Bradenton perform March 20 in the annual Beach Bistro St. Patrick’s Day parade in Holmes Beach. 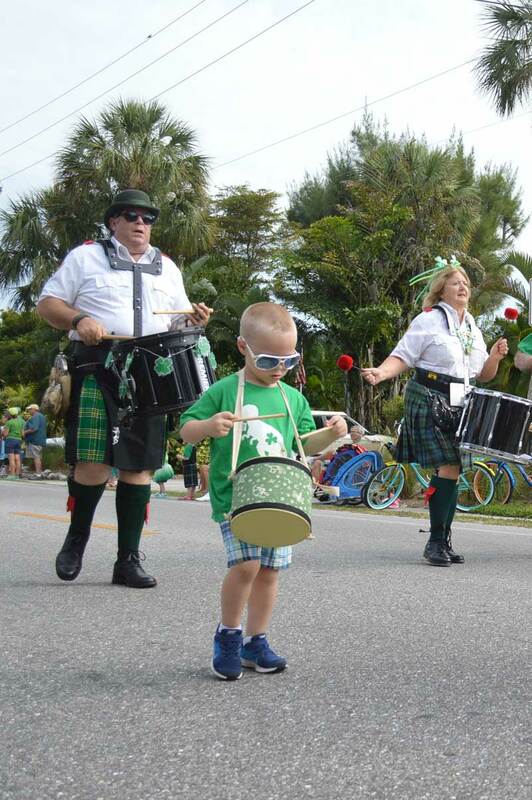 Lion and Rampant Pipe and Drum of Sarasota brought members of all ages, including a wee small drummer, to perform in the March 20 Beach Bistro St. Patrick’s Day. 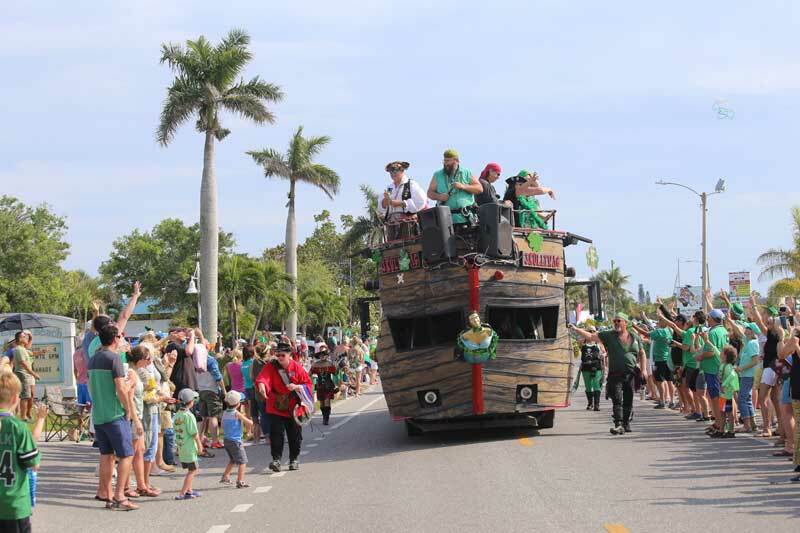 The Anna Maria Island Privateers scurry and throw beads to the crowd from the Skullywag boat/float as they pass along Marina Drive in Holmes Beach March 20 in the 20th annual Beach Bistro St. Patrick’s Day Parade. 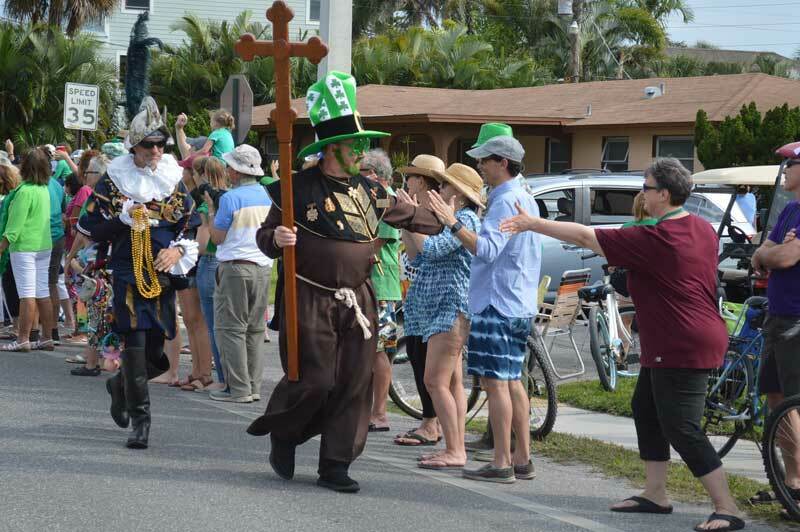 Members of the Crewe of De Soto of Bradenton hand out beads and high-five attendees at the 20th annual Beach Bistro St. Patrick’s Day parade in Holmes Beach. 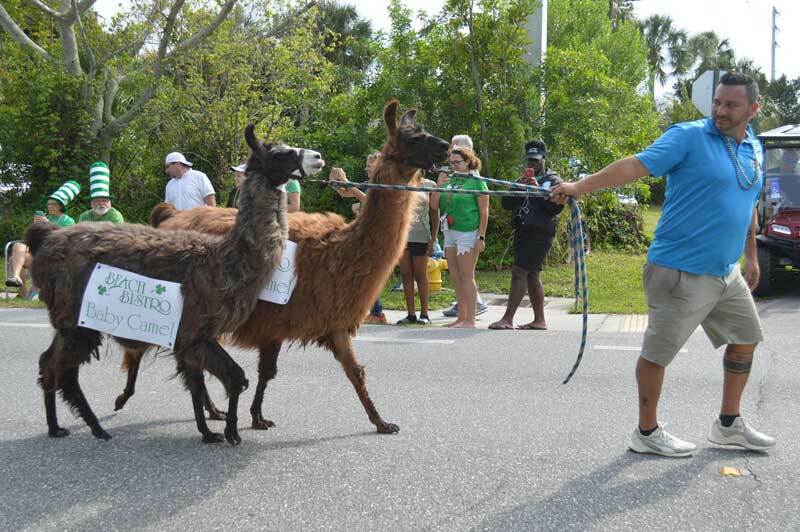 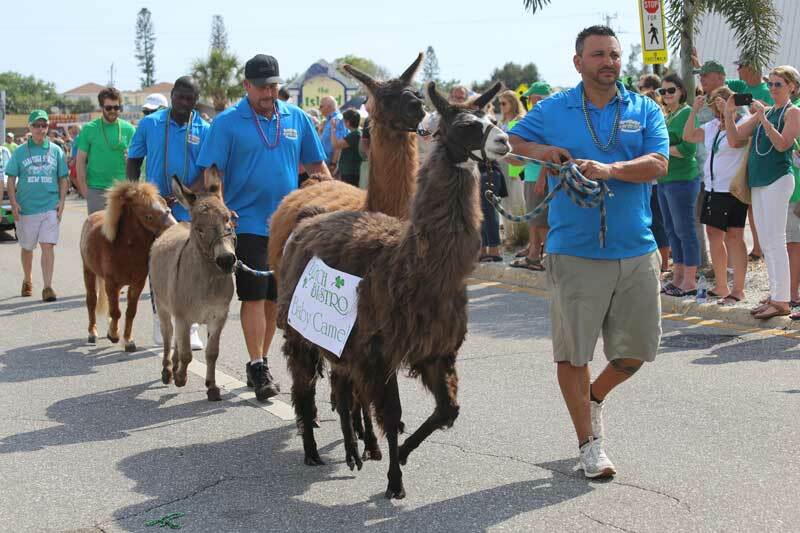 A pair of llamas — labeled baby camels for fun — are led March 20 along Marina Drive in Holmes Beach in the annual processional for St. Patrick’s Day. 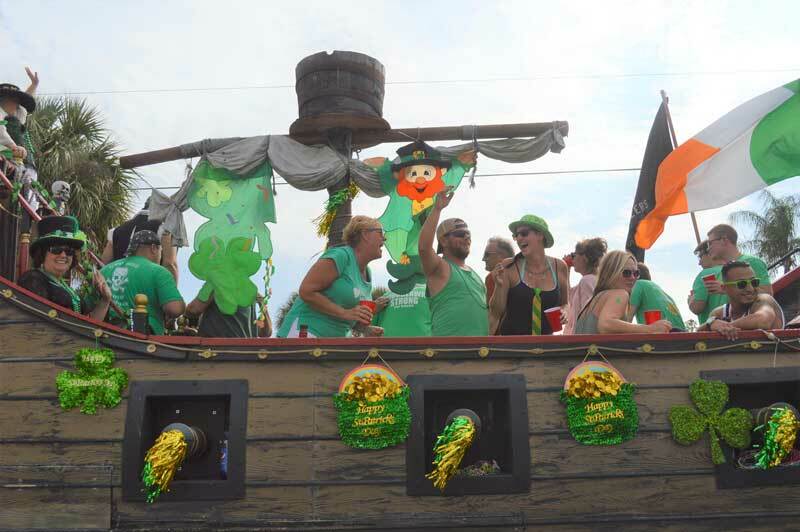 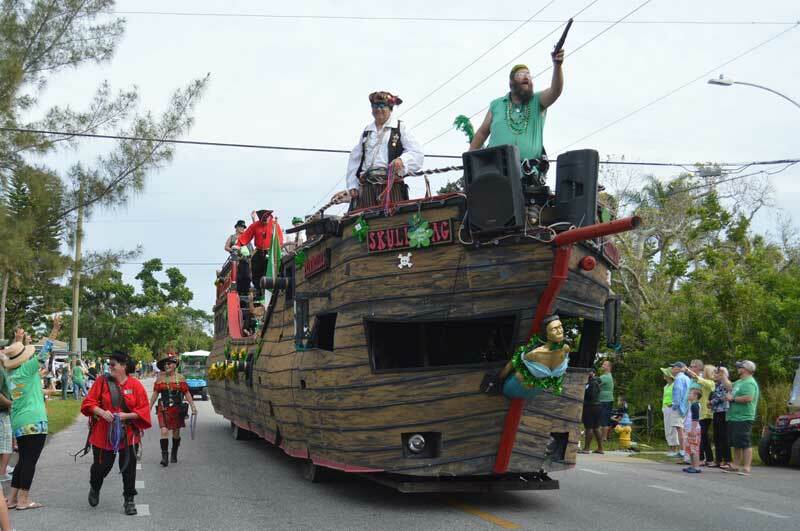 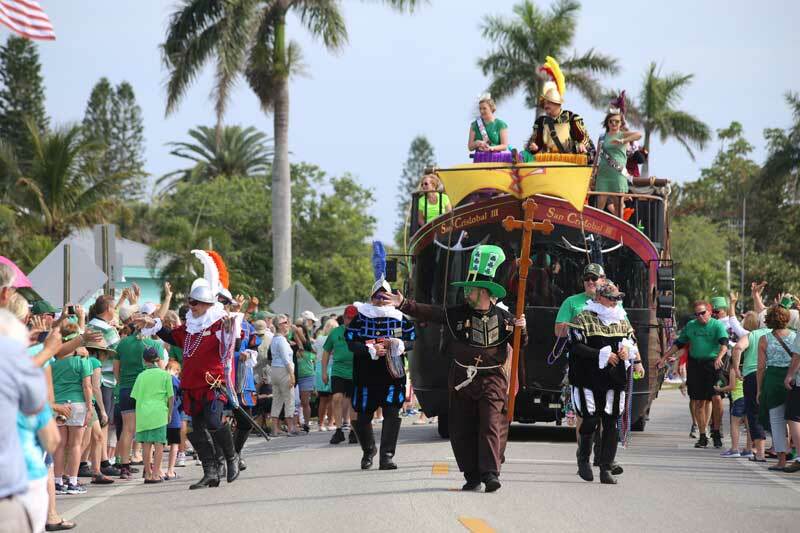 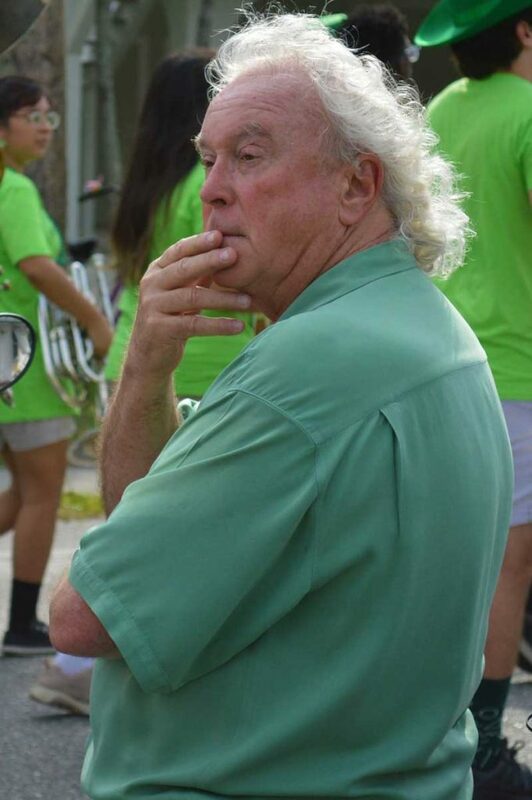 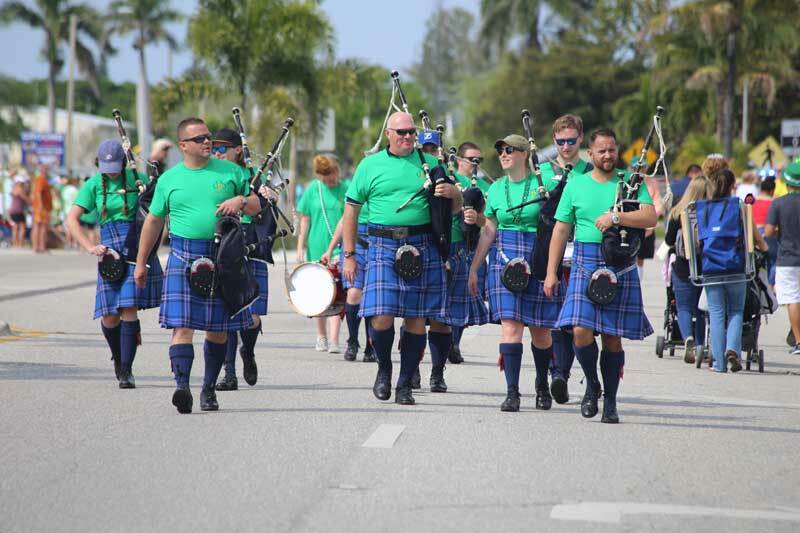 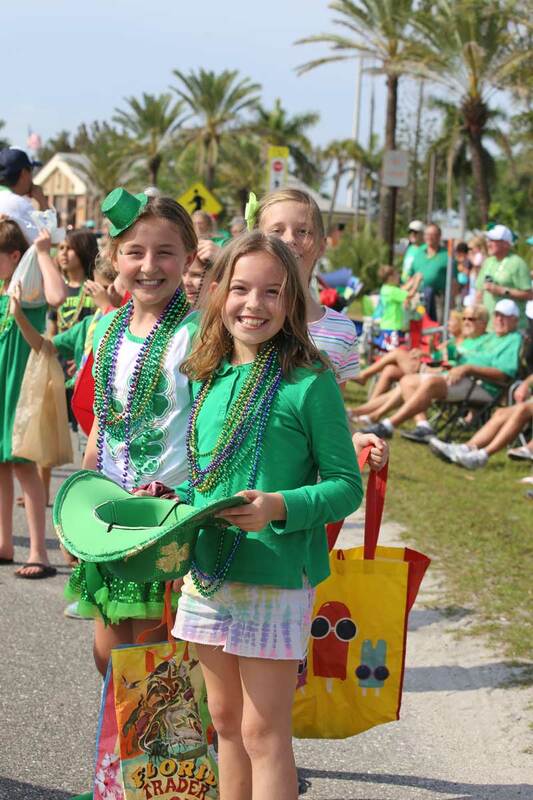 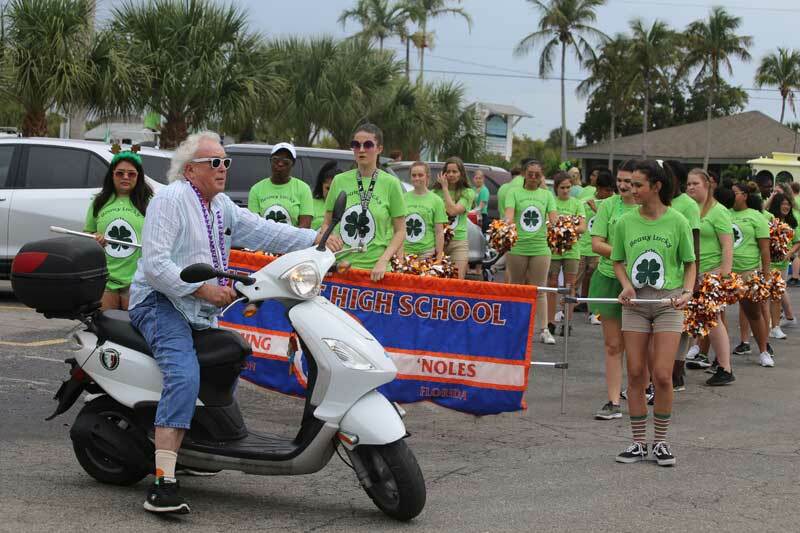 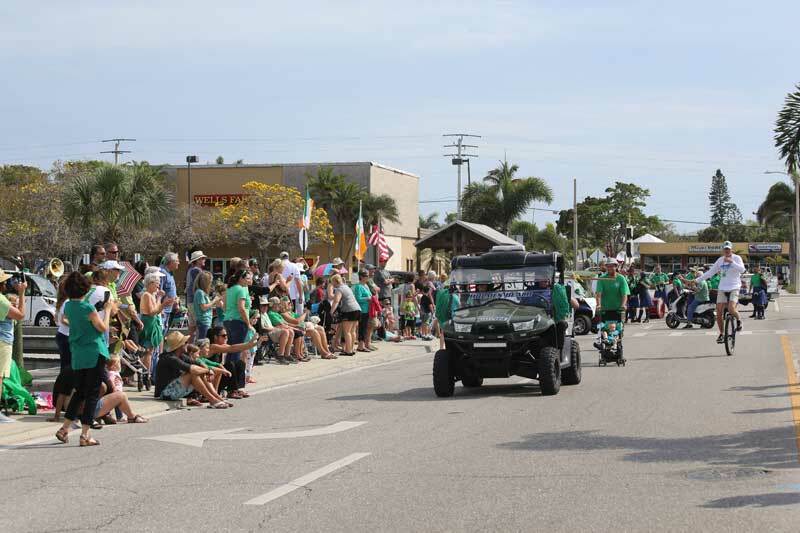 Riders on the Anna Maria Island Privateers float, the Skullywag, soak up the shenanigans March 20 during the annual Beach Bistro St. Patrick’s Day Parade. 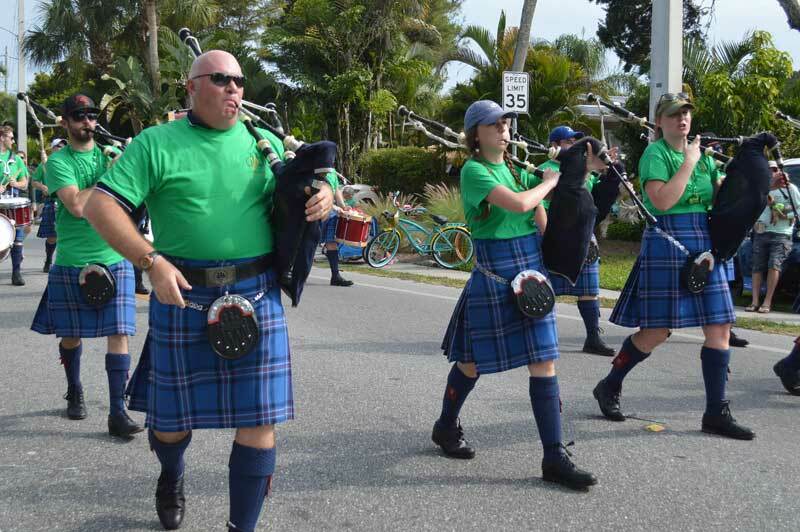 Bagpipers play and march in the annual Beach Bistro St. Patrick’s Day Parade.